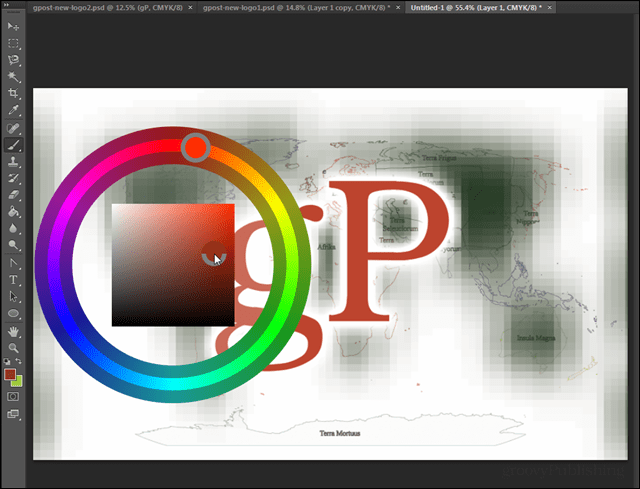 Photoshop has a built-in hue color wheel that goes ignored by many. If you aren’t familiar with this tool you can give it a try without changing any complicated settings. The color picker in Photoshop is easily one of the most-used tools when you are creating original work. 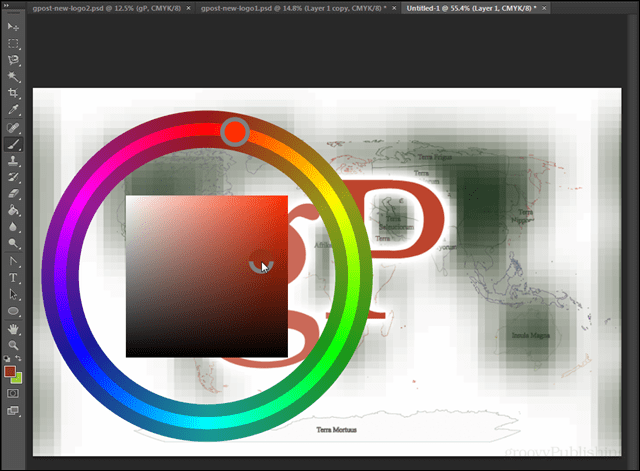 In CS6 the default color picker is a boring hue box. Some people prefer the box, but if you’re like me the hue wheel is so much more appealing. I’ll show you how to change it in just a few steps. 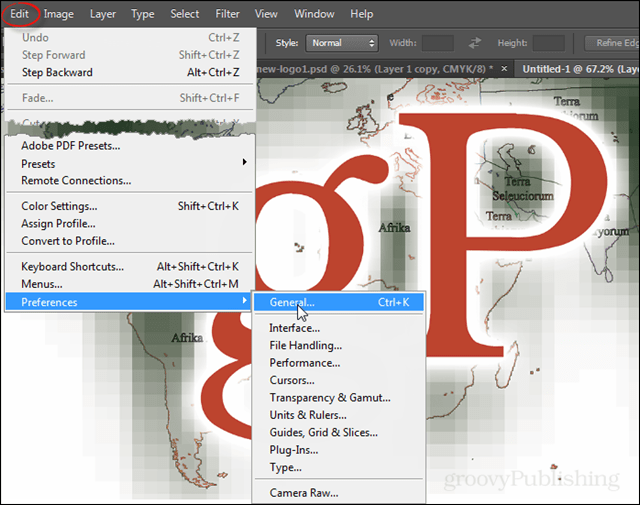 In Photoshop click the Edit tab on the menubar and select Preferences > General. You can also press Ctrl + K as a shortcut to open this. In the General tab of preferences click the HUD Color Picker dropdown and select the Hue Wheel. There are 4 different sizes available and I prefer the small one as the others take up most of the screen. Press OK to save changes and exit. 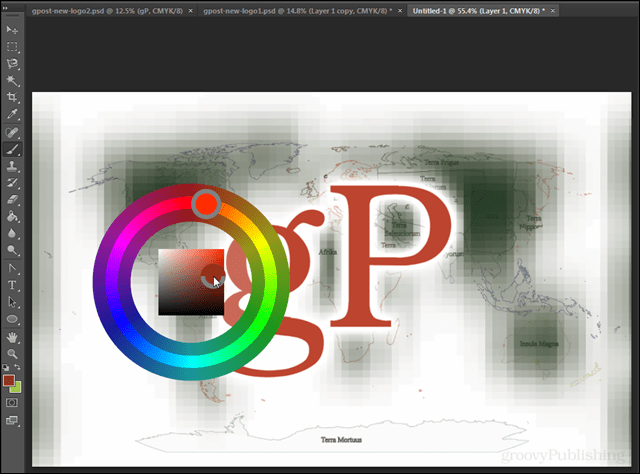 Now just press Alt + Shift + Right-click (mouse) to open up the color wheel. In case you’re curious about the different sizes, I snapped a shot of each of them below. These screenshots are ordered from smallest to largest. Hi, how would I bring it up on a mac laptop with no mouse? For Mac, use the Command-Alt-Control, and touch your trackpad/tablet. You have text selected. Just rightclick somedwhere else than the selected text as a workaround. I followed the steps but shift+Alt+right click does nothing. I have move button selected. I am using PS CC. So how do I keep it open? As soon as I’m not holding down the key combo it vanishes. Hugely frustrating. I don’t think it is possible to do so. 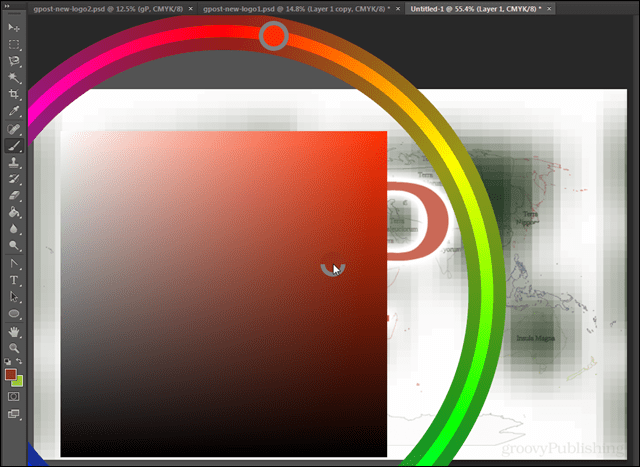 If you want to have a fixed color wheel, try using Coolorus 2. It’s a plugin/add-on that is widely used by artists. Its not working with the mac shortcut, is there a way to change the hotkeys ?